20/7/14 – As stated earlier we were going to go in the southern 4wd only track into Litchfield. Only when we got there, there were signs up saying the road was closed. Well at least into the campsites. 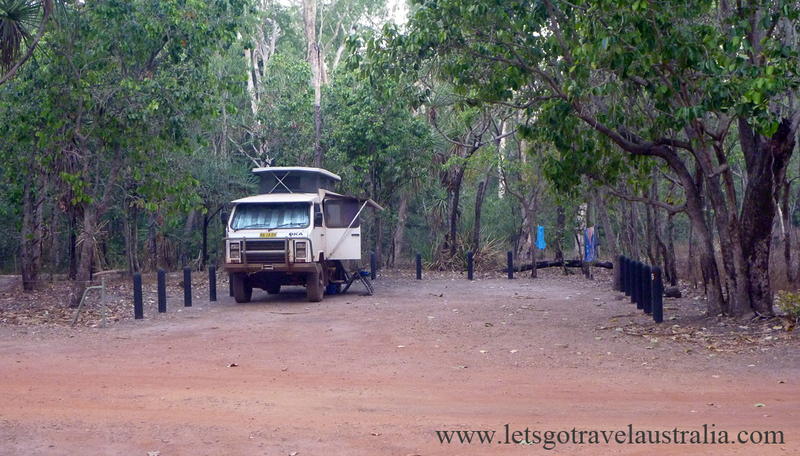 Without more information whether it was just the campsites, the road into the campsites or the main road up that was closed we had no choice but to turn around and head back up to Adelaide River and come in the top entrance of Litchfield. We will find out once we get there what and if roads were indeed closed. 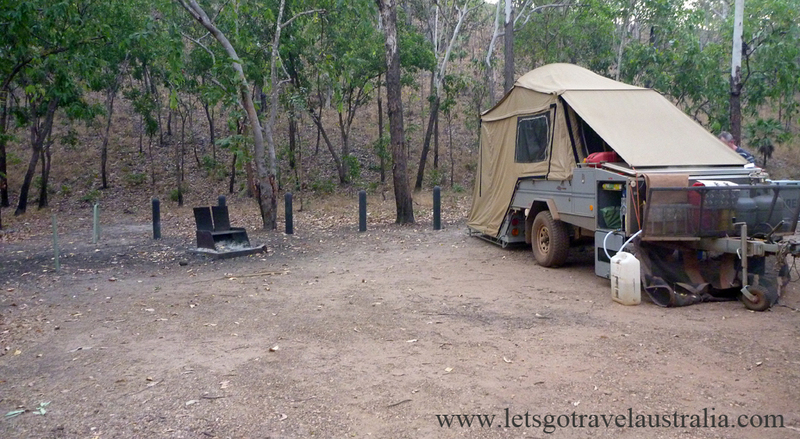 It took us longer than planned due to the detour but we were able to get to to Reynolds 4wd track campsite at Tiaynera Falls (Sandy Creek) which is only 9km from the main Litchfield road. 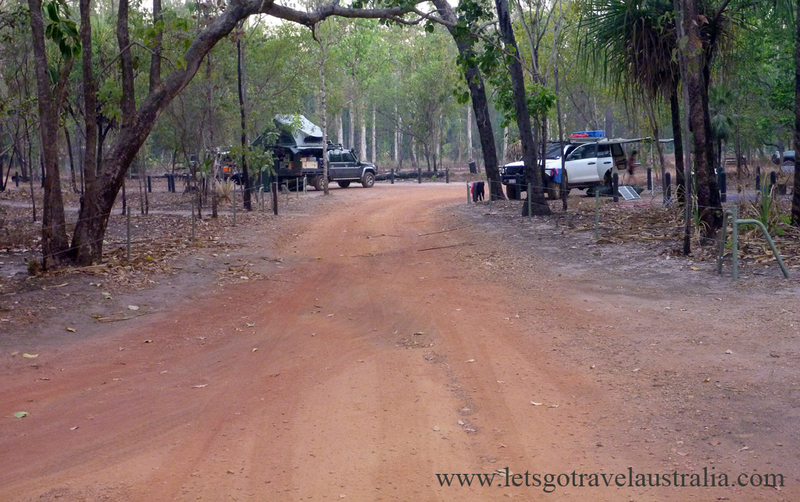 The Reynolds 4wd track was closed after the campsite though due to bad erosion from the wet season, so we couldn’t have come up the southern entrance. Anyway we are here, this is a small camping area with 7 campsites, each with a fire place. They are pretty dusty but in a lovely bush setting. 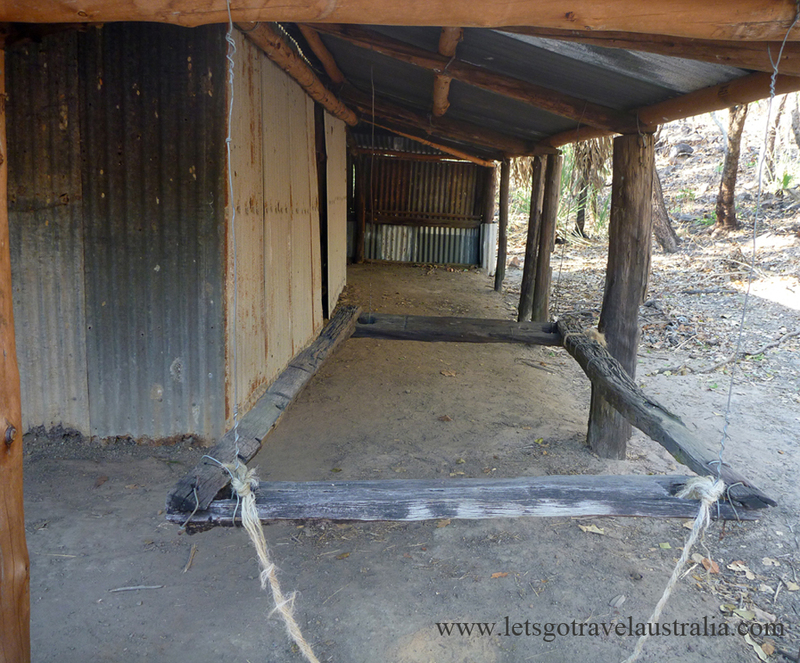 There is a toilet block with one flushing toilet and one cold shower. The day use area is very close to the camping area and when it gets full people park in the empty campsites. At present there are only 4 sites being used, so pretty relaxed and peaceful. Oh and to get here we did have to drive through a creek that has possible saltwater crocs in it, no walking that creek. After lunch we went to Wangi Falls which we knew was going to be very busy and it was. 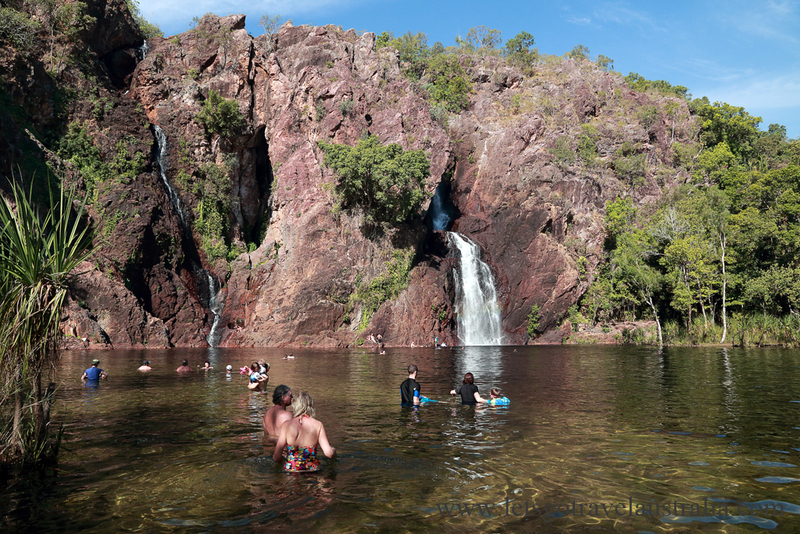 You can see why it is popular though, lovely double falls flowing into a huge plunge pool which was really lovely. Water was a little chilly but not too bad. We had fun with everyone else paddling over to the falls with our noodles and then later having a swim with the snorkel and goggles and looking at the fish. Have to say that these falls are just as good as what we saw on the Gibb bar Bell Gorge and it was only 140m walk on a paved track. 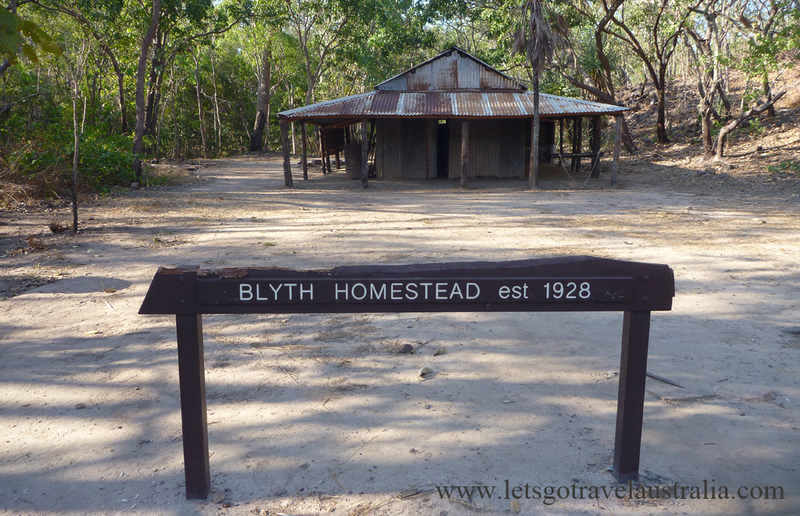 On the way back to camp we called in to see Blyth Homestead Ruins. 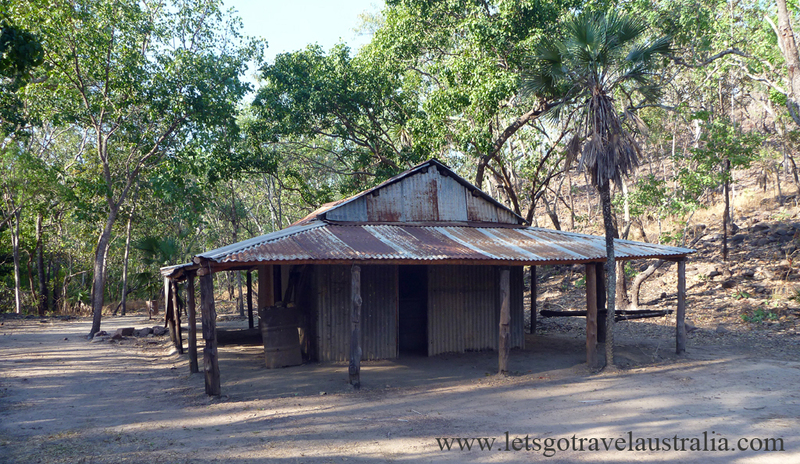 It was build in 1929 by the Seargent family as an outstation for the main Stapleton Homestead, they mined tin. 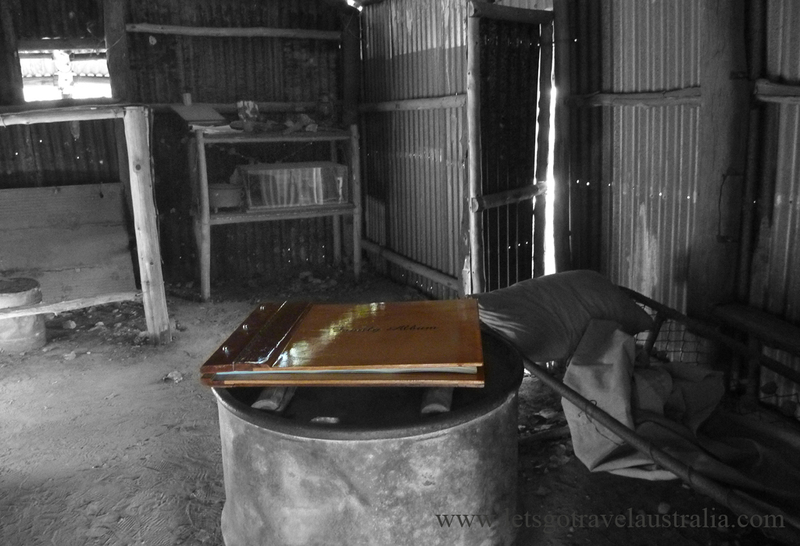 It was abandoned in 1960. 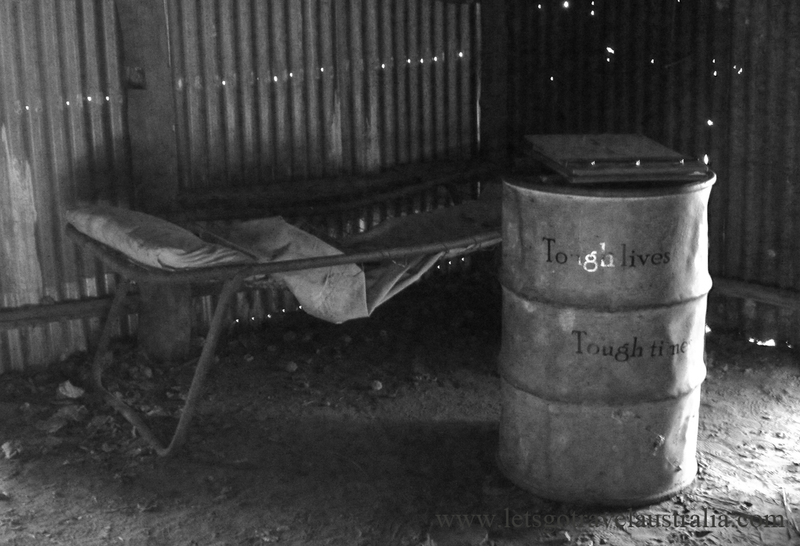 Makes you appreciate our comfy campers and homes. We had a delightful dinner with delightful company. Crispy Spanish Mackerel, served with a slice of lemon, chunky chips and garden salad on the side, best thing it was all free 🙂 . We were given the Spanish Mackerel at Middle Lagoon, we could of had more but didn’t know it was so nice, have enough for two more meals. The spuds and salad ingredients were given to us near the WA border, by some friendly tourists. And the delightful company was ourselves.